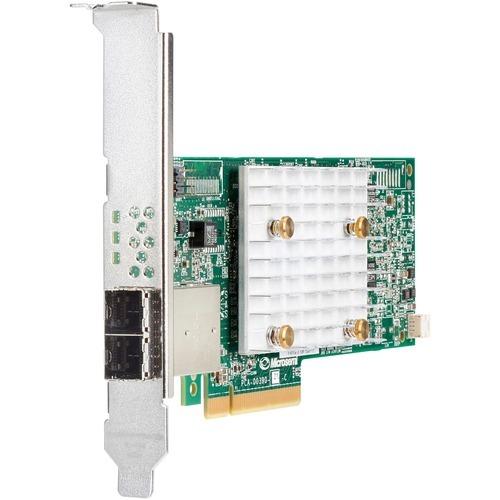 Marketing Information: The HPE Smart Array P408e-p SR Gen10 Controller, supporting 12Gb/s SAS and PCIe 3.0, is ideal for maximizing performance on externally attached drives while supporting advanced RAID levels with 4 GB flash-backed write cache (FBWC). This controller operates in Mixed Mode which combines RAID and HBA operations simultaneously. It has eight external SAS lanes, allowing connection to externally attached SAS or SATA drives, and provides enterprise-class storage performance, reliability, security and efficiency needed to address your evolving data storage needs. This controller offers enhanced security by encrypting data-at-rest on any drive with HPE Smart Array SR Secure Encryption.